The Nigeria Football Federation (NFF) and manager Gernot Rohr are keeping tabs on Ademola Lookman with a view to capping the Everton winger in the not too distant future. 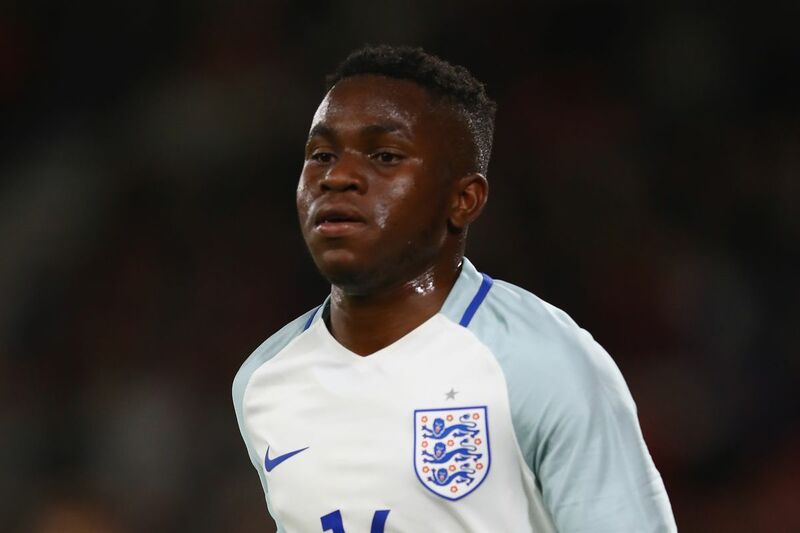 The Wandsworth Town born Lookman has played for England at U19, U20 and U21 level and is set to feature for Aidy Boothroyd's team in next summer's European U21 Championship. Contrary to suggestions that the winger has pledged his international future to Nigeria, Rohr has revealed that he has not 'shown enough interest' to represent the three-time African champions. ''Lookman is on our list. He is a good player and very fast too. I would be happy if he can show enough interest to join the Eagles because we will have many options in the attack of the team. He would be exciting playing alongside Ighalo,'' Rohr told Sporting Life. ''I am aware that the NFF is working out something but you know that Lookman has played for England’s U-19, U-20 and U-21 so there are processes to be done to make him eligible to play for us. Former England youth internationals Victor Moses, Alex Iwobi and Ola Aina were named to Nigeria's provisional roster for the 2018 World Cup.